Busy Bees Patchwork: Would you like to come? We have had two cancellations for tomorrow (Saturday, 18th January), Gremlin Busters Class with Bob Challingsworth. 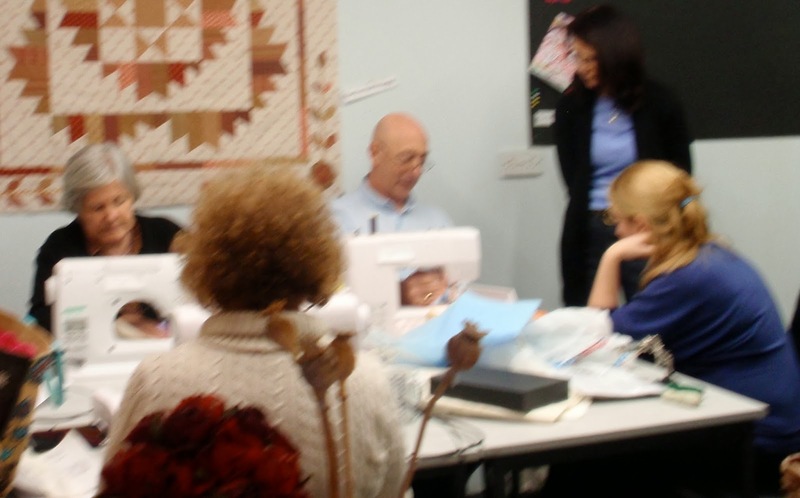 In the class you will learn how to identify and cure sewing machine faults. This is a real hands-on maintenance class, designed for the new and experienced sewer. If you had a new sewing machine for Christmas or just really don't understand how a sewing machine works, this is the class for you. Full of subjects that will be a real help. Discover your machines full potential, identify and cure the top 10 sewing machine faults. The workshop will be held at Duffryn Community Centre, Newport, between 10am to 4pm. The fee for the day course is £40.00. • Your sewing machine and motor control. • Some fabric good bad or ugly. • As many questions about sewing as possible. •Tension settings upper and lower. Plus the top ten machine faults. Slipstiching , tensions, pucking, neeedles snapping, thread snapping, won't pick up thread, won't work, bobbin jamming, won't take work through, bobbin case falling out.